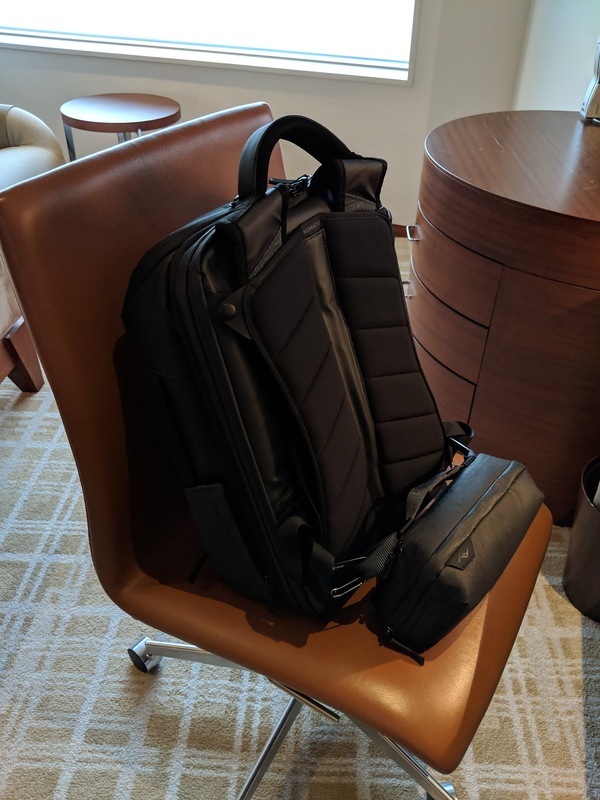 I've been intrigued by the Peak Design Tech Pouch (Amazon) because of its promise of "enormous spatial efficiency, letting you pack more into a smaller space while keeping your items neatly organized and easy to find." For cables and small items like flash drives, cable adapters, etc. I've been using the Bagsmart Travel Organizer but for larger bulkier items like the laptop's power adapter, usb wall chargers, etc. 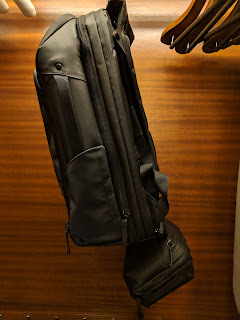 I've been using the various organization pockets of my Nomatic Travel Pack backpack. The main downside is to to get access to the larger items requires always having the backpack with me. When traveling it becomes a bit cumbersome such when having to access the backpack on the plane. The Nomatic doesn't have any external loops that is often found on other backpacks for hooking things onto but it does have two loops near the base for attaching its waist straps. The Tech Pouch has two loops so I decided to attach the pouch to the backpack through these external loops. This allowed me to not use any space inside the backpack and have easy access to the items. When setting the backpack down, the pouch moves to the back so the backpack isn't sitting on top of it. When the backpack is being carried the pouch falls underneath the backpack comfortably. The pouch is not as wide as the backpack so to allow the carabiners to reach and allow enough slack for the pouch to move, I got a 12" tie down loop straps that I ran through the pouch's loops and attached the carabiners to the strap's loops. The set up worked out very well. When I was on the plane, I detached the pouch from the backpack (which I put in the overhead bin) to keep with me. 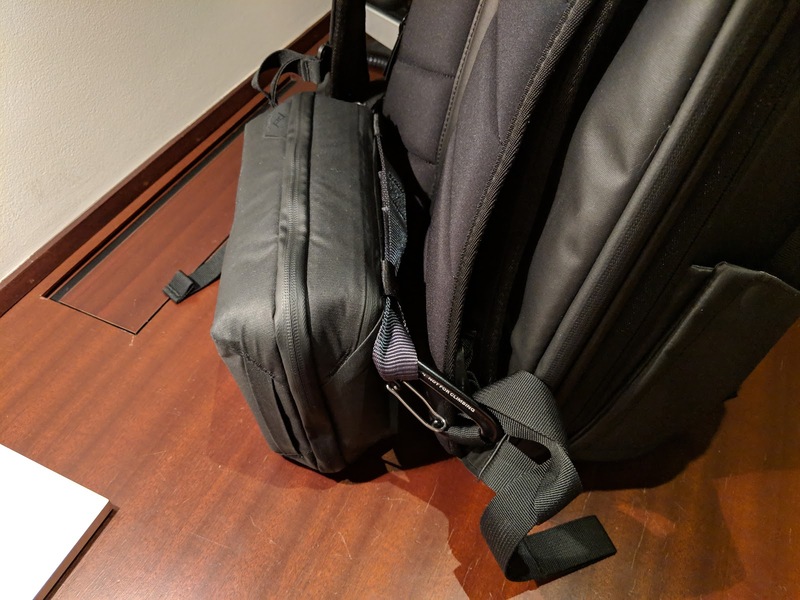 When I was at the office, I can access everything I needed from the pouch instead of going through the different backpack pockets and having to return everything back to their place in the backpack.